A small collection of free lowpoly foliage and rocks, including 3 vegetation variations and 19 rock variations with 2048x2048 PBR textures. Total polycount 26906 tris. 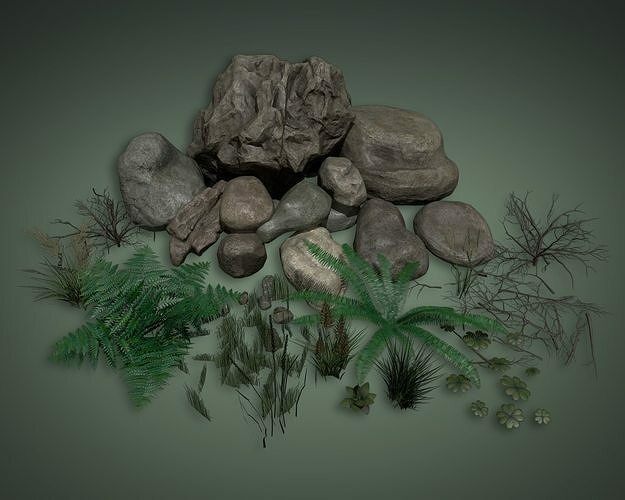 Vegetation polycount varies from 100 to 1500 tris, rock polycount varies from 200 to 2500 tris. Metallic/Roughness, Specular/Glossiness and Unity textures are included.